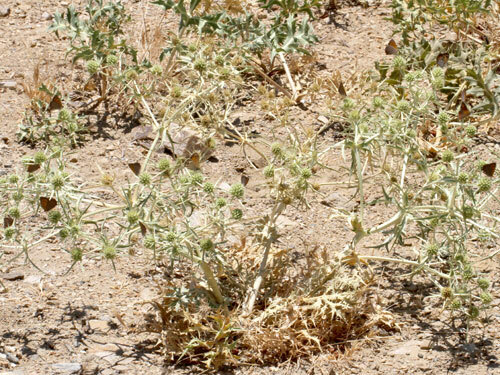 Very widespread. 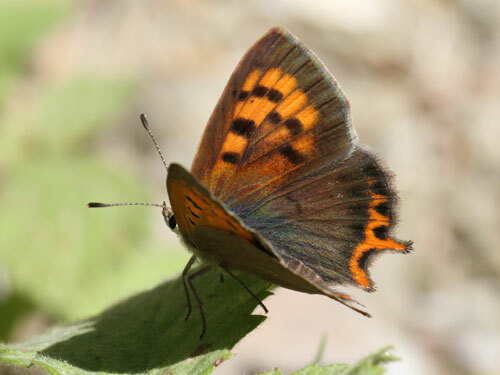 Often found singly but can be common to abundant depending on locality and time of year. 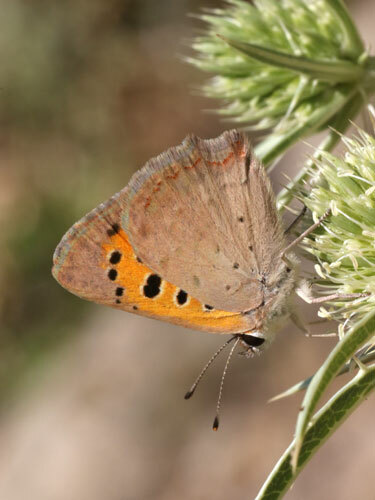 Identification & Similar species: The underside is quite distinctive, the small black spots are not circled white and the submarginal red band is near continuous and thin. 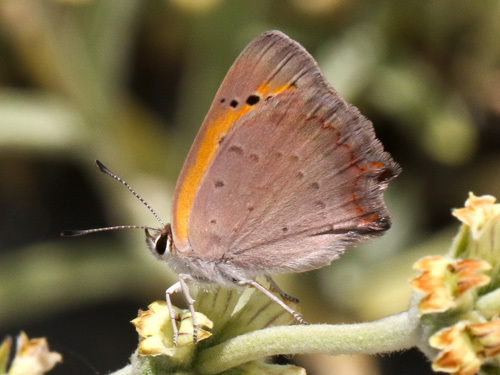 There is usually a tail on the hind wing. 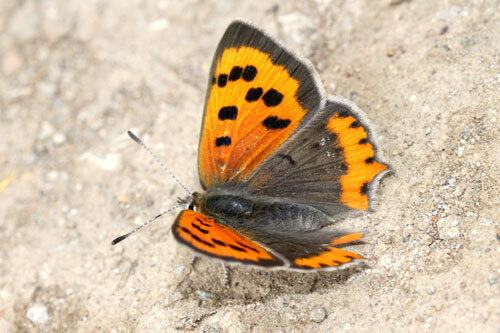 The upperside hindwing is dark brown with a bright solid band of orange, often with blue markings. 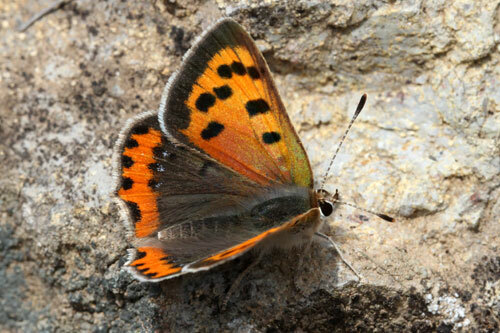 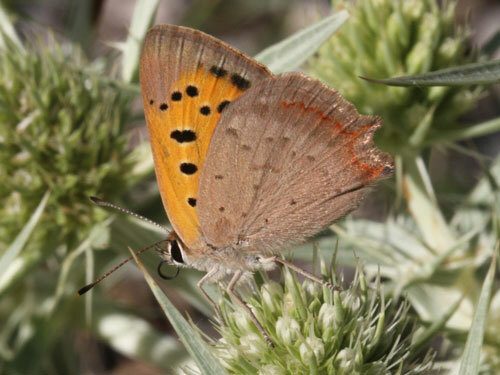 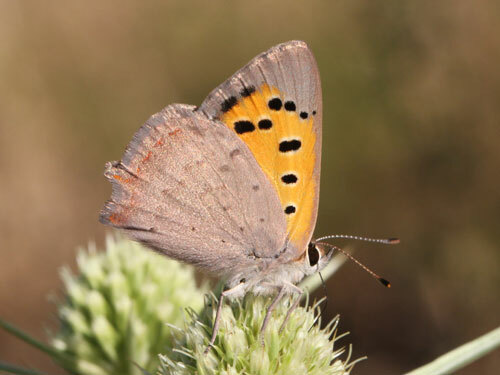 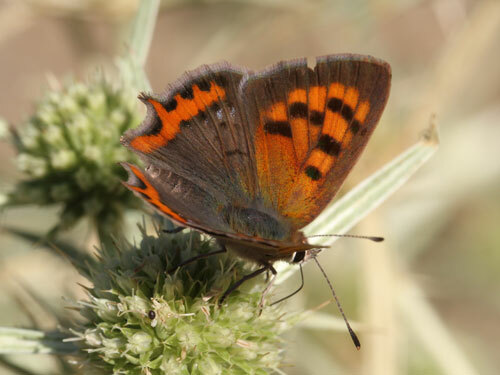 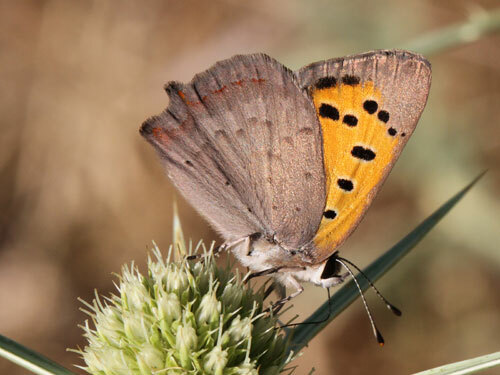 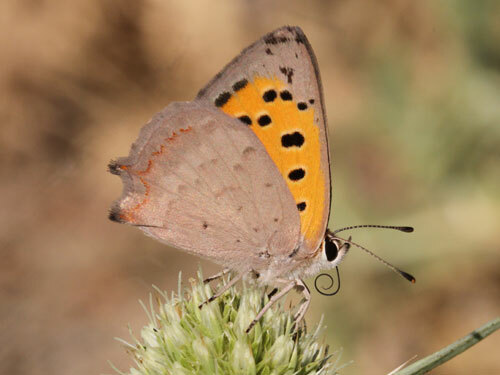 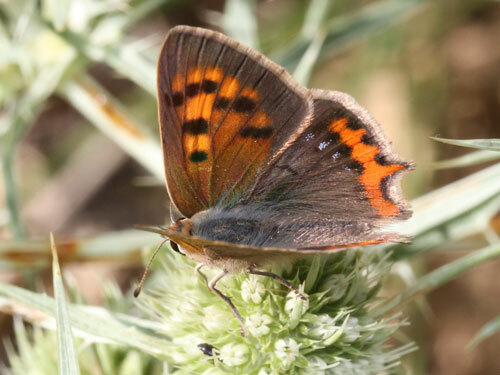 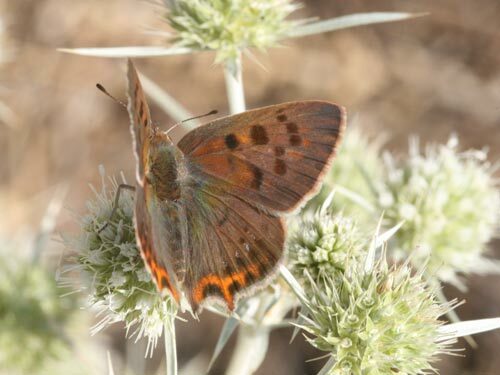 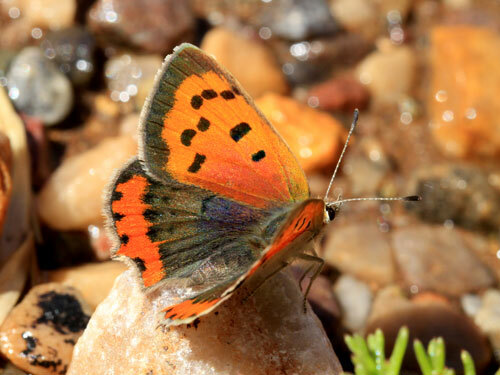 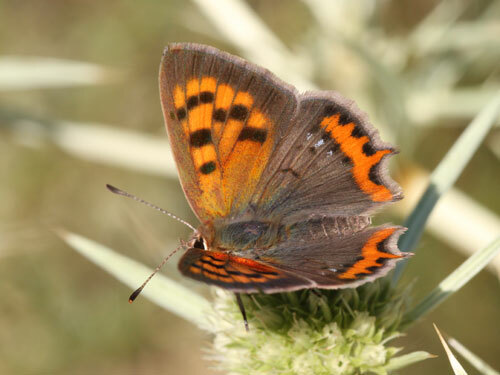 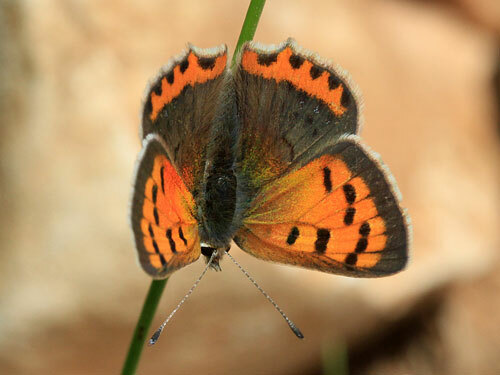 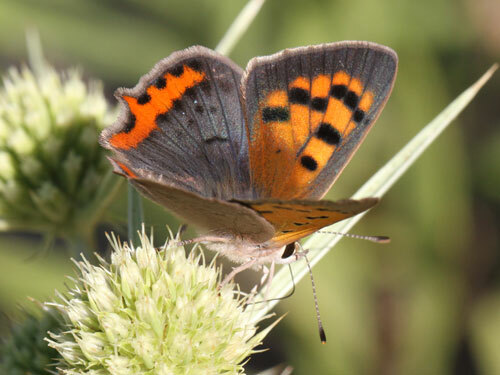 Many of these features are shared with a few other coppers, Lycaena, but together they are distinctive. 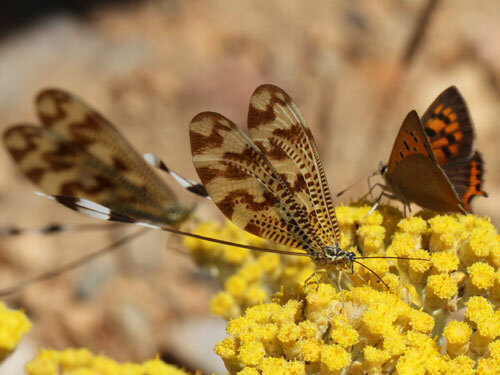 Distribution & Flight: Throughout all of Europe and north Africa, from low levels to alpine meadows. 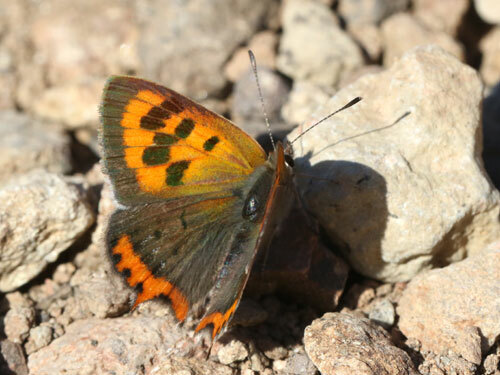 It flies throughout the warmer months in a succession of broods. 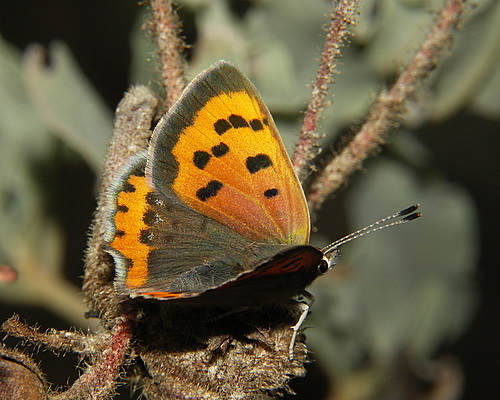 Habitat & Behaviour: Diverse, although usually in flowery places. 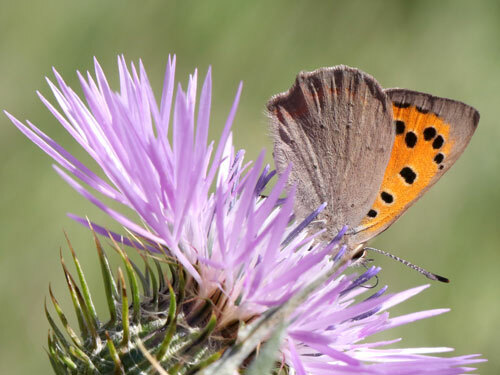 They fly fast and low, settling frequently to sun themselves. 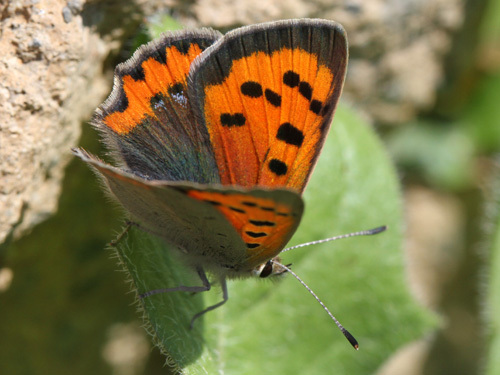 Variation: Variable in most aspects. 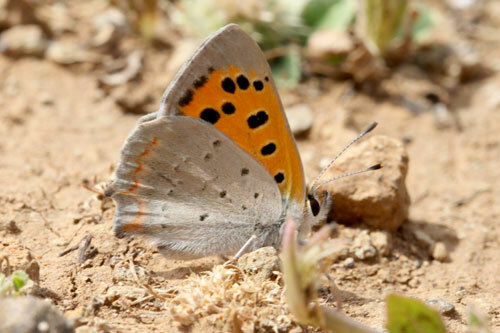 Frequently with blue spots on the upper hindwing. 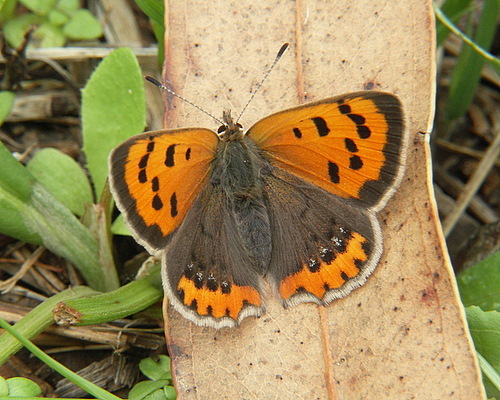 Orange is often reduced on the upperside in summer broods.